As you may have noticed I added a Social Vibe Badge to my blog. If you participate through my blog you will be helping to educate people about organ and tissue donation. I signed up to be an organ donor years ago. Why? That’s simple, there are many people who will not survive if they don’t receive a new organ. If I die, and any of my organs are healthy enough to help a person survive, I think it would a miraculous thing. All you have to do in most states is register when you get or renew your driver’s license. Or you can go to Donate Life.net to find out more about organ donation and how to register in your state. There is one thing that anyone with Meniere’s should consider donating. Your Temporal Bone. The following information comes from the NIDCD (National Institute on Deafness and other Communication Disorders) National Temporal Bone Hearing and Balance Pathology Research Registry. How had Temporal Bone Donation Helped with Meniere’s Research? Donation of your temporal bone is easy. You simply fill out a few forms and the Registry does the rest. Please take the time to look into the possibility to donating your Temporal Bone. 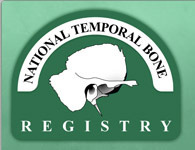 Here’s the link to The NIDCD National Temporal Bone, Hearing and Balance Pathology Resource Registry, you can find out information about donation there, and you can find out about all the ways donating your Temporal Bone can help with the research of Hearing and Balance Disorders. I haven’t filled out my paperwork to register to donate my Temporal Bone yet, but I vow to get this done by the end of the week. 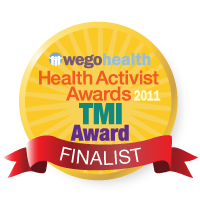 Won’t you join me and help researchers find help for people with Hearing and Balance Disorders? Sign the Registry to donate your Temporal Bone. Also please consider signing up to donate needed organs when you no longer need them. Go to Donate Life.net for more information, and read some very inspirational stories.